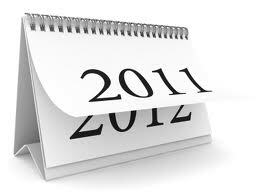 As 2011 comes to a close we are surrounded by all kinds of lists and reviews in every media outlet. From year-in-review issues of magazines to the top songs on the radio and top news or entertainment stories, the end of the year begs us as a society to look back at year that’s fading before our eyes. Many of us also look back at the passing year and do some evaluating of our own. We examine the ups and downs, the events that took place and the challenges we conquered, or perhaps we feel, conquered us. Unfortunately many of us look back with a very critical eye on our personal year in review. I know I tend to glance over the good things that happened with a slight smile but stop and dwell longer on the things that weren’t what I hoped they would be. Too often I don’t give myself enough credit for all that I did well or the progress I made even if I didn’t reach all the goals I set for myself. So this year I’m making a resolution, not or the new year but for today…and tomorrow, and each day that I look back and examine the past. I resolve to look at things a little differently. I resolve whenever possible to put a positive spin on things that I feel like I didn’t accomplish. Some might say that I’ll look for the silver lining in the storm clouds. For example, I had a goal to lose more than 50 pounds in 2011. I did lose a little weight but I didn’t reach my goal. In fact, I didn’t come close to that goal. In years past I would spend weeks dwelling on my failure and wallowing about it, probably consuming large amounts of chocolate to make myself feel better. However this year I’m making a different choice. I’m choosing to see how much I did accomplish even without reaching the ultimate goal. I learned a lot this year about my eating habits and choosing healthy options. I learned that I can deal with stress and boredom without the help of chocolate. And by the end of the year I had developed a routine of exercise that will help me reach towards a new goal in 2012. So even though I’m not as thin and healthy as I’d hoped to be I’m further along than I was a year ago! 1. Begin by writing down the things you are reviewing in your mind. Make two lists, one for the good you see and one for the things you perceive as negative. 2. Spend some quality time with the good list thanking God for each thing you see as positive. Keep this list around. When you’re feeling down throughout the coming weeks and months and can’t remember the good things take a look back at your list. 3. Now take the list of things you’re not so pleased with. Break this list down and examine them one at a time for positives and things that can teach you something. Like my weight loss goal, maybe there are things that you can use to create new goals for the new year. If there’s absolutely nothing positive to be found, cross it out and move forward. Put it behind you just as you will put 2011 behind you. Examination is a very healthy exercise but if it only leads to beating ourselves up and feeling badly about who we are it does us no good. 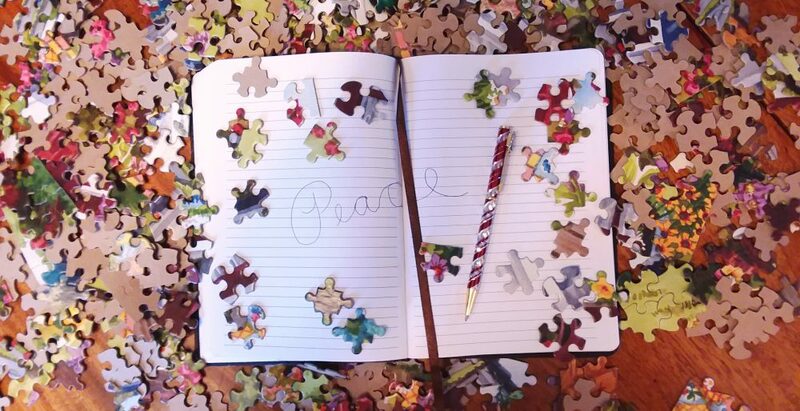 Using what we’ve learned from our examination to put the old behind us and move forward with hope towards the future will bring peace to the puzzles of our lives. Wishing each of you blessings and peace as you end 2011 and looking forward to growing and sharing with you in 2012.